Saluda Christmas Parade will be held on Saturday’ December 2, 2017 at 4:00 p.m. The lineup will start on West Butler Avenue near the schools. The parade route is printed above. Organizers encourage you to have your vehicle or float lighted. Please make sure people in your entry are visible. If you have any questions about the parade, the theme, or to enter please contact the Chamber of Commerce at 445-4100, or Town Hall 445-3522. 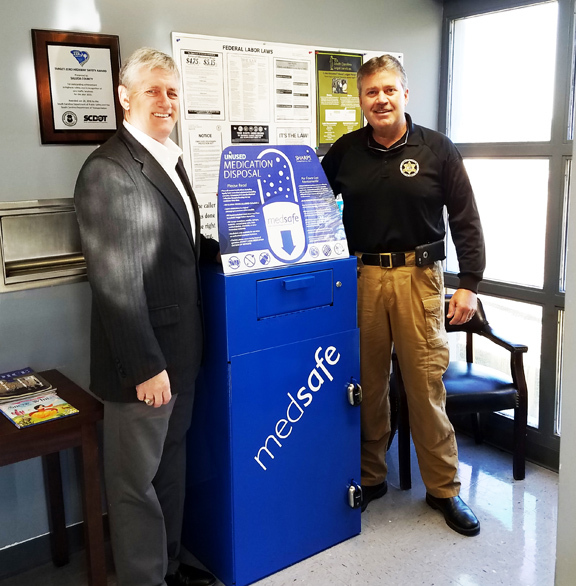 NEW DROP BOX - Hugh Gray (L), executive director of Westview Behavioral Health Services, and Saluda County Sheriff John Perry stand beside a new prescription drug drop box installed at the Sheriff’s Office. 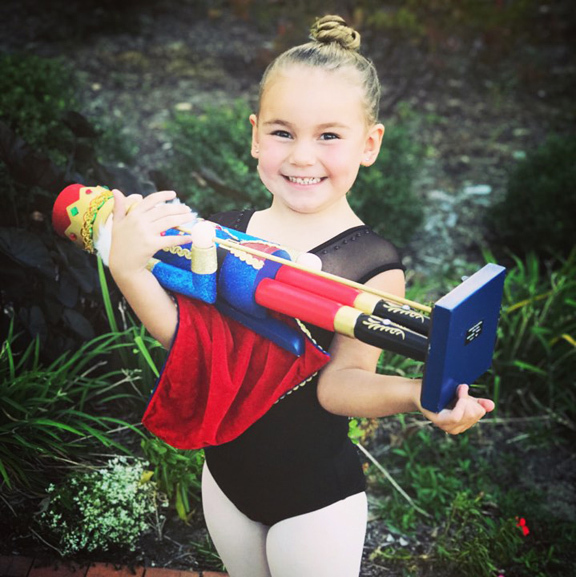 IN NUTCRACER CAST - Malani Bryan of Saluda was cast in the Columbia City Ballet’s 2017 production of the Nutcracker. She will be performing on the second weekend, December 16th & She has the part of a cherub Tickets are on sale now at www.kogercenterforthearts.com. STUDENT LEADERSHIP - The South Carolina High School League sponsors Student Leadership Summits at colleges located throughout the state. The students are selected by their high school coaches to attend this workshop that promotes good sportsmanship and positive leadership in the school and sports. 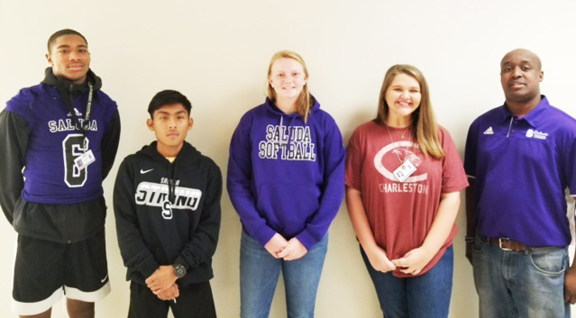 Coach Lytes as well as four students represented Saluda High School at the event held at Newberry College in September: Raquon Hartley, Joseph McGrath, Kaylee Long, and Bailey Chariker. Law enforcement agencies are joining forces in Saluda County to promote highway safety on Nov. 27 and Nov. 28. Taking part in the event are the South Carolina Highway Patrol, Saluda County Sheriff’s Office, Saluda Police Department and S.C. Transportation Police. The officers will be primarily patrolling S.C. 39 and 121, and U.S. 178 and 378. They will be looking for DUIs, speeding and distracted driving. One deputy said out of every ten suspected DUI stops he makes, nine of the drivers were not drinking, but were distracted by their phones. Saluda County has had seven highway fatalities this year, compared to only one last year. Most of the fatalities have taken place on U.S. 178 and S.C. 121. The fatalities occurred between 6:00 and 9:00 a.m. and 9:00 p.m. until midnight. Of the seven fatalities, four were not wearing seatbelts. Saluda County is a part of the S.C. Highway Patrol’s Troop 2. Thirteen troopers serve Saluda, Edgefield and McCormick counties. The Highway patrol is apprecia-ive of the help it gets from the Sheriff’s Office and Saluda Police, who often handle the scenes of an accident until a trooper gets there. 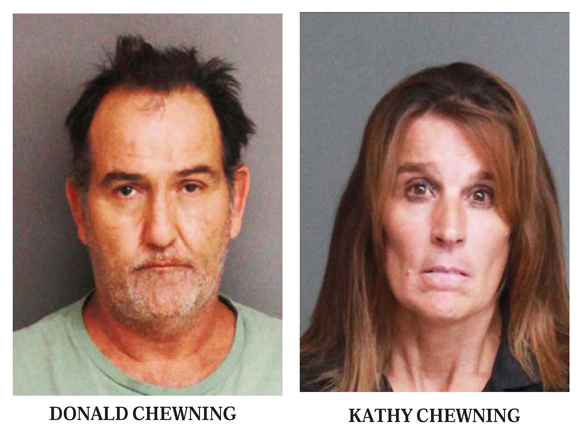 Last year, the Highway Patrol and the Sheriff’s Office combined forces to conduct 100 check points, and got many DUI offenders off the roads. The last term of General Sessions Court until March 2-018 concluded last week. There was only one jury trial during the two week term, and it was covered in detail in last week’s newspaper. Demarcus L. Robinson, of Ridge Spring, was found guilty of Armed Robbery, Kidnapping, and Possession of a Weapon during commission of a Violent Crime. He was sentenced to twenty-five (25) years by Circuit Court Judge Robert E. Hood. Tommy Cary Adams II, possession of crack cocaine, three years, upon service of 37 days, suspended to two years probation. Yasjaira M. Colmenanes Menseses, simple possession of marijuana, 30 days. Emily Josephine Cribb, possession of Schedule 10, Youth Offender Act (YOA) not to exceed six months, suspended to six months probation. Marcus Clifford Cunningham, armed robbery, 12 years. Tyrese Marcell Dantignac, unlawful carrying of a handgun, one year, suspended to seven days and 13 months probation. Robert Samuel Day III, resisting arrest, no assault, one year. Darguarious Tremaine Fuller, armed robbery while using deadly weapon, 23 years; attempted murder, 23 years. Dwayne Scott Harper, voyeurism, three years, suspended to time served and three years probation. Dar’twon Marquinese Laounda Hill, unlawful carrying of a pistol, YOA not to exceed one year, suspended to six months probation. Justin Bostic Heath, unlawful carrying of a handgun, six months or $200 fine. Edward Holloway, possession of a firearm by a person convicted of a felony, three years, suspended to time served and 12 months probation. Quinton Cortez Jerry, armed robbery, 12 years. Meria A. Jones, ill treatment of animals, 30 months, suspended to time served and 15 months probation. Terrell Daniel Lockett, accessory after the fact, five years, upon service of 142 days, suspended to two years probation. Charzavia Keonjae Long, assault and battery, 1st degree, three years. 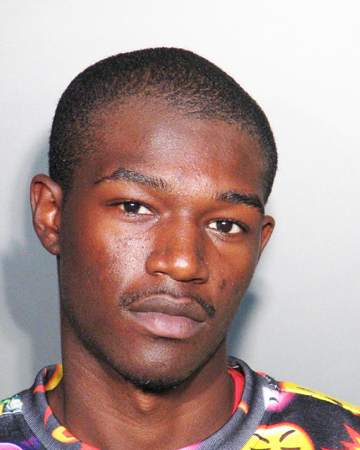 Stefan Jaleel McKelvin, unlawful carrying of a pistol, YOA not to exceed one year, suspended to one year probation. Christopher Shane Miller, possession of narcotics, Schedule I (d), C, LSD, and Schedule II 1st offense, 303 days time served. Caryn Ann Molter, burglary 3rd degree, four years, suspended to time served, two years probation. Rondell Morris, failure to stop for a blue light, three years, suspended to time served, 12 months probation. Stephen Lee Morris, possession of meth 1st, 10 months. Christopher Leneer Perry, possession of meth 1st, three years, suspended to 42 days, two years probation. Matais Lopez Pinto, DUI 2nd, 45 days. Andrea Michelle Inabinet Reynolds, use of vehicle without owners permission (temporary purpose), 60 days, one year probation. Edgardo Sierra Rivera, burglary 2nd, non-violent, five years, suspended to 164 days, five years probation. Gregory Shaquille Tolen, burglary 2nd violent, ten years, upon service of two years, suspended to five years probation. Frederick Donnell Williams possession with intent to distribute marijuana, two years, upon service of four days, suspended to two years probation. Steven Dyllan Wilson, pointing and presenting a fire arm, five years; receiving stolen goods, eight years. Billy Wayne Zachary, possession of meth, two years, suspended to time served and 18 months probation. Two local teams will play in their respective Upper State Championship game Fri., Nov. 24. 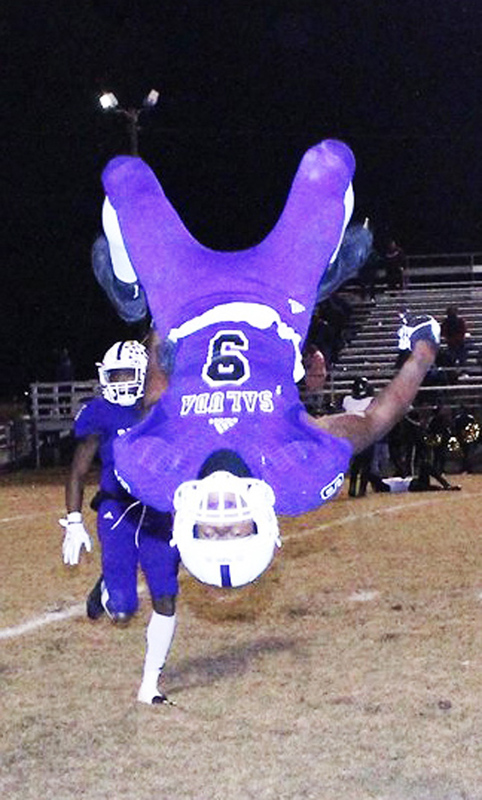 For the third year in a row, the Saluda Tigers will travel to Abbevile to take on the Panthers. Abbeville has won the previous two meetings, and went on to in the state title. Ridge Spring-Monetta will host Lamar in the 1-A upper state. The Trojan stage a big comeback to defeat Lewisville last Friday. An other nearby school with a coach and several players from Saluda County, Wardlaw, won the SCISA 8-man football championship last Friday. 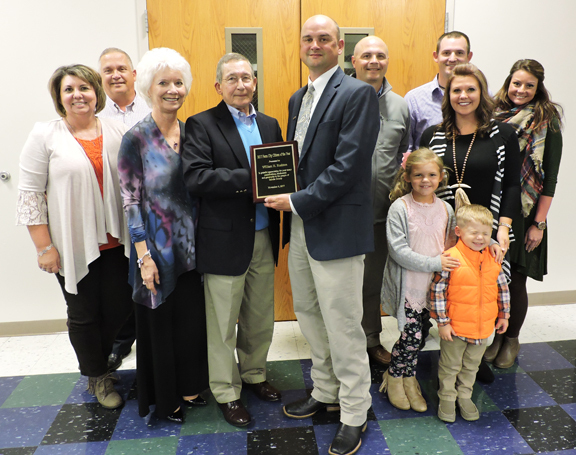 William Rushton, a longtime Saluda County banker and farmer, was named the Saluda County Farm-City Citizen of the Year at the annual banquet held Thurs., Nov,. 9, at Saluda High gradute. Featured speaker was former Saluda High basketball star Al Daniel, who went on to have a hall of fame college playing career. 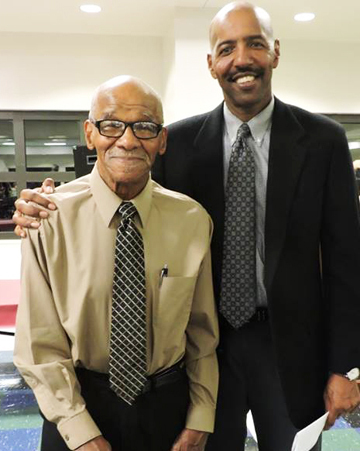 Following college, Daniel served and an assistant coach at Furman, Tulsa, Tennessee, N.C. State and recently retired as an academic advisor in the athletic department at the Unviersity of South Carolina. Kevin Crouch served as master of ceremonies. Rev. Burton Campbell had the invocation. Following the meal, catered by Shealy’s, the Ninety Six First Baptist Church Singers, led by Iris Riddle of Saluda, provided entertainment. Julia Wills of the Pyracantha Garden Club and Joanne Crouch of the Ridge Spring Arts Center, explained the table decorations that included gourds used as vases. Mrs. Crouch shwoed several varieties of gourds she had decorated. Saluda High School athletic director Jeanette Wilder introduced Daniel. Saluda County Council took action on $160 million in economic development projects at the Mon., Nov. 13, meeting. Third and final reading was given on the ordinance to accept a fee in lieu ad valorem taxes for the $47 million S.C. Pet Food Solutions, LLC, plant, and first reading was given to accept a fee in lieu of ad valorem taxes for another large solar farm, this one valued a $115 million. In the public hearing prior to this third reading, Burnett Maybank explained the advantages of a fee in lieu of ad valorem taxes for both the county and the business. Paul Bartley, Josey Bartley and Lewis Burt had questions on the fee in lieu of, why there are so many scattered industrial parks, will the employees be local, can the local tech school train employees, who will pay for the waterline, and why all the secrecy? Council Vice-chairman Gwen C. Shealy said the answers would be supplied, but not at the meeting. Maybank did answer the question about secrecy, saying counties did not want another county to find out about a project and then try to steal it. The plant will employ approximately 90, and will produce a product that companies will buy and convert to pet food. The solar farm will cover over 300 acres and will be built on Topaz Road off Hwy. 23, Development Director Ed Parler said. The project has a 2019-2020 completion date. Council approved to enter into a memorandum of understanding with learning for life to participate in the EMS Explorer program. Students in grades 10-12 will be allowed to train with the EMS and learn basic first aid and CPR, EMA Director Jacob Starnes. Council took as information a proposal for a one call service for emergency air medical services. Annie McCombs said under the agreement, dispatchers would call her company and they would handle dispatching helicopters, even if they have to call a competitor. Starnes said currently dispatchers call a helicopter and if a it is not available, they call another company. McCombs said one call takes the pressure off of the dispatchers. Council approved paying $22,193 to fund the purchase of body worn cameras for all officers in the sheriff’s department. Chief Deputy Chris Cockrell said the county had received a $36,034 grant from the state to buy the cameras, but it will cost $58,228 to supply cameras of all the officers. Cockrell said he did not want some officers to have cameras and some not. The county will be reimbursed by the state in the next funding cycle. Council accepted the audited financial statements for fiscal year 2016-2017, as presented by David Enzastiga. Enzastiga said the county got an unqualified opinion, which is the top rating. Accepted was a proposal from David and Floyd for environmental services and demolition of the county building located at 722 Batesburg Hwy. Cost will be $4850. Council approved paying for the health insurance increase on the employer’s portion, not to exceed $15,050. Instead of spending $2,600 for the employee Christmas luncheon, council agreed to spend an extra $1,100 to give each employee a $20 Bi-Lo gift card. Kevin Crouch was appointed and Darron Wilson reappointed to the Upper Savannah Workforce Development Board. Rex Abney and Heather Griffin were appointed to the County Grievance Committee. Donnie Longshore was appointed to represent the Circle Fire Department on the Fire Board, and Mike Hite will serve as the alternate. Mount Alpha Baptist Church in Ward, South Carolina honored their Veterans on Sunday, November 12, 2017 in the W.H. Fellowship Hall. Mount Alpha has 27 veterans, some have served in the Korea war, Vietnam, Desert Storm, Afghanistan and the National Guard. The following were on program: Master of Ceremonies Earl Bryant, Invocation Rev. Eldwin Griffin, History of Veterans Day Jordon Davis, Armistice Day Camren Samuels, Honoring Veterans Tykeem Martin, and Celebrating Veterans Day Kayla Davis. Our special guests were Pat Asbill and Veteran Capers Asbill. There is a new shop in Ridge Spring. The grand opening & ribbon cutting ceremony for Haley Bee Boutique at 100 Town Square is Thursday November 16 at 10:00 AM. ”We will have giveaways, raffles, and refreshments.” Store hours will be Monday and Tuesday 10:00-5:00, Thursday and Friday 10:00-6:00, Saturday 10:00-4:00. The Town of Ridge Spring has begun a process to Focus on its potential. Committees are being formed and three have already met. These Committees will meet about four times a year. Beautification Committee and Business Growth Committee have met. The Town Promotion Committee has met with Allison South Marketing Group and will review their proposal this week. Things are looking GOOD!!! The Shoppes of Ridge Spring and The Art Gallery are beginning to gear up for Black Friday Sales and Small Business Saturday. There will be a food truck coming Friday and Saturday, November 24th and 25th. He will be doing Coffee and Hot Chocolate in the morning with something kind of Breakfast style and then Hamburgers and Fish dinners and sides for lunch. Helpful Hands food & clothing bank will be reopening Saturday November 25th 10am-12 noon at 512 Merritt St. Also Helpful Hands and Queens of Diamonds will be giving out fruit for seniors Sunday November 19th @ 2pm at the Helpful Hands Life Center . please come out and get your fruit if you are 55 and older. we can deliver to local town residents. Juniper will be closed for Thanksgiving November 22-25. They will be open for Sunday Buffet on November 26. The Farmers’ Market with the fresh local greens is getting started around 9:00 to 9:30. No need to rush for Leonard Bell will be there ready to sell those fresh locally grown greens and other vegetables. The Ridge Spring-Monetta Band will be wrapping up its fruit sale on Tuesday, November 28th. If anyone is interested in ordering fruit from the band please contact a band member or Mr. Clamp at jclamp @acpsd.net. Jostens will be at RS-M High School on Tuesday, November 29th at 2:30 p.m. to take orders for letter jackets. Any athletes or band members who are interested in ordering a letter jacket can get information at the school. This will be the only time this school year that letter jackets will be ordered. RSM Middle School & High School held its annual Mr. RSM pageant Saturday November 4 at 6:00 in the school gym. The production was sponsored by the Yearbook Staff. This year’s theme was “Searching for Prince Charming.” Nine contestants competed for the honor, 6 from the middle school, and 3 from the high school. Michael Summer was selected as “Prince Charming” from the high school by a panel of 4 judges, with Alex Tarlton winning 1st runner up. Nehemiah Brooks won “Prince Charming” from the middle school, with Robbie Mitchell winning 1st runner up. Many thanks to LaToya Wise, Antonio Scott, Jessica Greenlee and Amber Moody for judging the pageant. Josie Rodgers: I had a fabulous time at the CERRA Fall Renewal Conference at Myrtle Beach last week. The workshops, sessions, and speakers were inspiring, refreshing, and encouraging. The theme was “The Power of the Cape” and how teachers can be superheroes. During our first day, we honored our country and our military by wearing red, white, and blue and learning about the 13 folds of the flag and what they mean. On Thursday, we wore Superhero outfits or tees (of course, I chose Wonder Woman!). We were even visited by Spiderman, Wonder Woman, Chewbacca, Captain America, and more! On Friday, we all donned our CAPE T-shirts (“Creating And Preparing Educators”). Though it was cold and rainy for most of our time, we were warm and cozy in the Landmark Resort, spending time with our friends and colleagues and learning how to be better teachers and teacher recruiters. Oh, and my mom was my roomie again! We had dinner at her favorite seafood restaurant, Sara J’s, and went shopping at Home Goods! We talked during the entire drive down! I am one lucky girl! RSM High: The Beta Club and the National English Honor Society are proud to celebrate American Education Week by providing breakfast for all faculty and staff on Wed morning. These students appreciate all who work at the school and always provide a wonderful spread to show their gratitude for our staff. The Teacher Cadets have adopted bulletin boards at the middle and high school. These are “Staff Kudos Boards” and are used to promote positivity and encouragement for all staff. Included on the board are shout-outs, teaching tidbits, inspirational quotes, and jokes. The Cadets will update the boards weekly, but the teachers and staff can also add to the board! The Beta Club, NEHS, and Teacher Cadets are excited to sponsor a holiday event for all children in our community! “Cookies and Stories with Mrs. Claus” will be held on Wed., Dec. 7, at 6 pm in the high school cafetorium. Children will enjoy cookies and milk, crafts, games, and story time with Mrs. Claus and some special elves all for FREE! For more information, please contact Josie Rodgers. RIDGE SPRING UNITED METHODIST CHURCH: October was a busy month around RSUMC. In addition to having free water and church information for Harvest Festival participants, the church had a 5th Sunday Sing. It was well attended. Our current Pastor, Ashley and former Pastor, John, in addition to a local church group, sang and led singing. Smiles, hugs and clapping hands was heard for over an hour. Watch this column to see when the next one will be, you will want to be there. Also during October the Big Red Box collected 17 pillows, pillow cases and blankets. These will be delivered to Killingsworth in Columbia. It is our pleasure to support this mission as they help women get back on their feet. November church members will be buying, wrapping and labeling presents for their family member of our Families Helping Families family. This year we have 4 children and a single Mom. We are excited to once again participate in this worthwhile project to make sure no sad faces on Christmas Day. If you would like to help with this, contact a church member to find out how. November is also the month of football rivalries for example: Carolina vs Clemson…just to name one. The Wesley Campus Ministry at Lander is asking fans to show their team spirit and donate to the ‘one’ they think will be the victor. RSUMC has team buckets located at church and if you would like to help push your team ahead, contact a church member. From a quick look today, seems that Carolina has a slight edge. RSUMC is on Face Book. Church Services are every Sunday at 11 a.m. unless otherwise noted. In October, DS Owens, won 1st place in photography at the Western Carolina State Fair in the fine art scenic category with “Between a Rock and a Hard Place”. My gourd art is available at the Art Center and at the South Carolina Artisans Center in Walterboro. I had the pleasure of speaking on gourd art at the Farm-City Banquet on Thursday, November 9th at Saluda High School. I was the guest of the Pyracantha Garden Club. There were beautiful arrangements on each table in a gourd. This was a great event that recognizes the importance of agriculture and service to community working together to make our homes a better place. Please shop local on Fridays and Saturdays from 10-4. Works of 15 plus artists are available. Get your unique gifts here. The Art Center will be open for the Holiday Season events on November 23-24 from 10-4 for Black Friday & Small Business Weekend and the Shoppes of Ridge Spring Christmas Open House on Saturday, December 9 from 10-4 and Sunday, December 10 from 1-5. Harriet’s Garden Tips: I enjoy watching “Danny Lipford: Today’s Homeowner” on TV and on his web site. On this show Joe Truini does a lot of “Simple Solutions” including a nontoxic weed killer. I have not tried it out but will this week. It includes vinegar, Epsom salts, and dish detergent. If anyone else has tried it, let me know. I am going to plant cilantro spinach and lettuce this week. Let’s get our fall gardens up and going. By the way you can get fresh local greens at the Ridge Spring Famers’ Market on Saturdays after 9:00 AM.